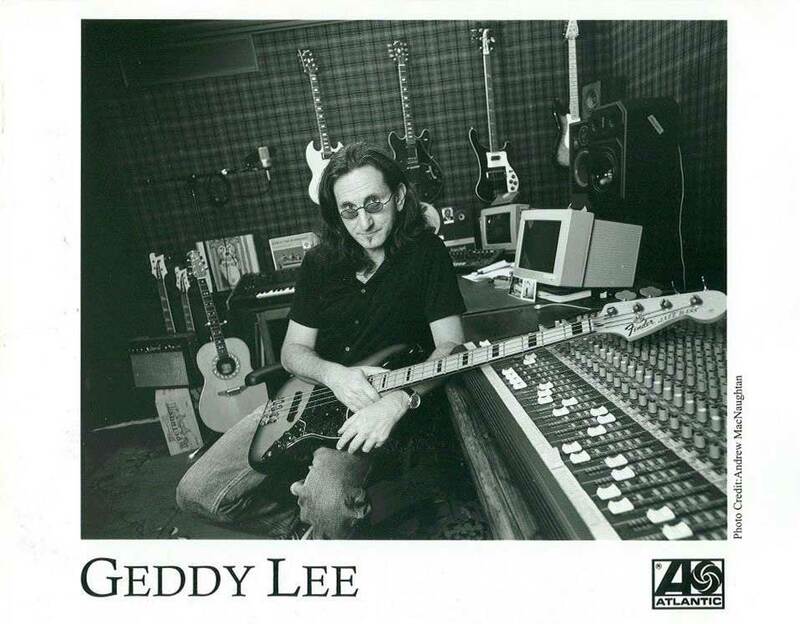 Geddy Lee, the singer, bassist, and keyboardist in the Canadian hard rock band Rush, says he never really entertained thoughts of doing a solo album. But when drummer Neal Peart lost his wife and daughter during 1997, sending the band on hiatus, Lee began working on music that has, in fact, turned into a solo album, My Favorite Headache. "I've never been motivated to step outside the band," says Lee, who worked on the new LP with k.d. lang's longtime collaborator Ben Mink, who's an old friend, and Soundgarden-Pearl Jam drummer Matt Cameron. "Musically it's a very satisfying experience for me. I didn't have any great need for attracting any attention to myself other than what I've already gotten in life. But once I got used to the idea and focused on the fact I liked the songs so much, I felt if this is the best way to expose those songs, then so be it." The revelation of Headache, of course, is Mink, who plays the kind of crunchy hard rock guitar throughout the album that he never had the chance to show during his years with lang. Lee says it was a surprise for him as well. "One time, when passing through Vancouver with Rush, I had a day off and we hung out together," Lee recalls. "We both picked up instruments and jammed for two minutes. The amazing thing was we have never done that in the 15 years before that we've been friends; we were too busy making bad jokes, kibitzing with each other. So we picked up these instruments, looked at each other, and said, 'Wow, you play like me.' There was something about our feel that was very similar; at that point we said, 'OK, before the end of the year we have to promise each other that we'll write one song; with any luck it'll be really bad and we'll never have to talk about this again.' But it didn't work out that way." Lee promoted My Favorite Headache with a short swing of autograph sessions at record stores, but no concerts. The disc is finding its audience, however, with the title track climbing to No. 9 this week on Radio & Records rock charts. He plans to get together with Rush mates Neil Peart and Alex Lifeson early next year to start writing songs for what he expects to be a new Rush album.